Welcome to Art at St Dunstan's 2015. Christine Bass paints vibrant, contemporary still lifes & landscapes, many inspired by the Buckinghamshire countryside. 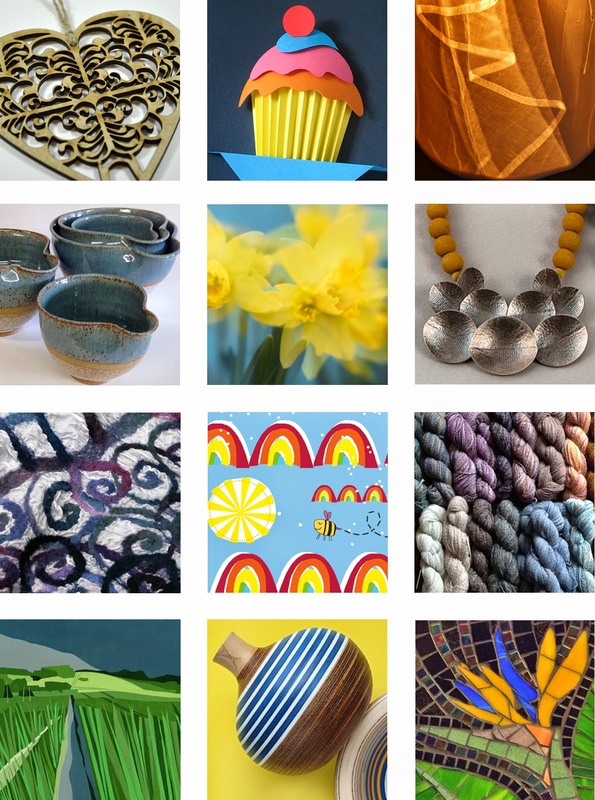 Nicola Bibby produces tactile, felt scarves, bags & brooches, as well as decorative items for the home. Deborah Brett uses richly coloured stained glass, vitreous glass & found materials in her mosaics. Susan Day creates delicate, porcelain lamps & vessels with textures and colours inspired by the Chilterns. Wendy Fowler's thrown or hand-built pots are freely incised & painted in seaside colours. Anna Franklin's joyful illustrations and cards often feature adorable, little creatures & quirky imagery. Pirjo Keene is an experimental photographer whose studies of natural forms are richly layered and often abstracted. Graham Lester cuts, bends, folds & curls paper to create complex paper sculptures with a 3D effect. Kate Wilkinson's distinctive jewellery combines a variety of colourful materials with textured silver. Hazel Williams produces intricate laser cut designs in paper, wood and acrylic. 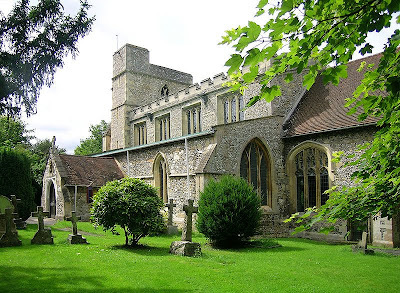 This photo of beautiful St Dunstan's is courtesy of Wikimedia Commons at http://commons.wikimedia.org/wiki/File:Monks_Risborough-_St_Dunstans_Church.jpg.